Editor’s Note: What follows is the first part in a series I was going to write about the Reserved List. This was written in February of last year, when the talk of the Reserved List heated up and we, the players, didn’t know what was going to happen. While all of this in the air, I had an idea. I wanted to write a four part series about the Reserved List and what should be done with it. My goal, if the editors allowed it, were to have this published on four different websites: Old Gathering Magic, Old Mana Nation, Quiet Speculation and here. To my knowledge nothing like this had ever been attempted (and still hasn’t). This was abandoned when the announcement of the Reserved List was made public as half of the series dealt with what should happen with it. While I don’t agree fully with the decision, this is neither the time nor the place for that discussion. Part One, what you’re about to read, dealt with the history of the Reserved List, and why it was created. If you’re relativity new to Magic, or just haven’t kept up with the political aspects of the game, then hopefully this will shed some light on the topic. Why this is coming out now is that not everything I write makes it to publication. I was going through some of my writing documents and found this. Creating a straw poll on twitter, I asked if people wanted to still read this. If you don’t like this, blame them. Most of this is still in its original state (some mention of dates and events). Please remember, this is about the history, not if you agree with Wizard’s final word on the topic. It all started with trying to be everything to everyone. Certainly we all know that can’t happen, so a choice had to be made. What good is a game without its players? If there’s no one to play, is it still a game? A decision was finally made and that has made all the difference. This is what players and investors have to remember: All Wizards did was make a promise not to reprint these cards. There was no contract signed by anyone, the government didn’t force Wizards to do this, and there weren’t any lawsuits involved. Out of their own good will, Wizards created a list of cards they said they would never reprint because some players cried foul. The events that proceeded it changed the way the game was made, marketed and played. What we’re talking about here is the “Reserved List,” a list of cards that Wizards promised never to print again. Over the years, it’s gotten more controversy than the new Frames, Affinity, Tarmogoyf and Planeswalkers combined (Rough estimate, but I would stand by it). Why would people argue and feel passionate about a list that Wizards made years ago to a bunch of collectors? Because, they set the tone for how the game proceeded in the future. Many believe that the creation of the Reserved List will eventually bring doom and gloom to the game of Magic while there are others that say it will be its savior. But how did this list come pass? Many years ago when Magic first started, people were really excited about the game. Whenever anyone saw the game for sale, it was gone within hours, if not minutes. Arabian Nights was released and the same thing happened. Then the next set, Antiquities, sold out. Wizards tried to keep up with their new larger set: Legends. No dice. Players were lined up around blocks (so the story goes) trying to get product. Stores couldn’t keep product on the shelves for long. There was a shortage and the demand for cards couldn’t be higher. Because of this, the good and “powerful” cards were really expensive (A mantra I’ll repeat: Price = Supply + Demand). Wizards then released 4th Edition and players noticed something. In Revised, there were a couple reprints from some of Arabian Nights and Antiquities, but nothing too major, mostly commons and horrible rares. However in 4th Edition, Carrion Ants, Mishra’s Factory, and Killer Bees that were rares in their previous sets and worth at least double digits in dollar figures were now printed as uncommons (Ball Lightning was thankfully still a rare). This was done for a logical reason: to get those cards into players hands who missed them the first time. Shortly after, Chronicles was released. The entire set was reprints from the expansion sets. To quote from Wizards’ website: “Released in July 1995, this 125-card set was created in an effort to satisfy players’ demand for out-of-print cards.” All the cards that were deemed too powerful weren’t reprinted. This included such cards as Mana Drain, Maze of Ith, Mirror Universe, Juzam Djinn, Moat, Nether Void, and The Tabernacle at Pendrell Vale. Cards that were reprinted were The Elder Dragons, City of Brass, Concordant Crossroads, Cyclone, Erhnam Djinn, Aladdin, and Serpent Generator. What’s the big deal since none of the really powerful cards were reprinted? Wizards noticed which cards were the expensive tournament viable ones and didn’t give them a second reprinting while taking a look at some of the casual cards and got them to players who wanted them. As a game company, Wizards identified this need and figured out that it would be in the best interest to reprint some of the hard to get cards that would be fun to play with. The cards in Chronicles would be printed in white borders to make sure that no one confused them with the originals and that they would have a “mark” of being reprinted (Only the Core sets starting with Unlmited were white bordered which a majority of the players thought were ugly). DCI tournament rules 3.4 talks about the legality of cards. If a card has black or white borders (which Chronicles has white) and has a standard Magic back (which it does), then the card is legal for tournament play. By printing these cards, if someone wanted to use one of the cards from Chronicles in a tournament, they could. Following the logic Price = Supply + Demand, the demand went up, so the price dropped. The Elder Dragons were going for about $30 a piece and could now be picked up for about $5. Collectors who had hoarded the Dragons and other cards that were reprinted in Chronicles saw their value drop dramatically. And, as Firefly fans know, if you yell loudly enough, you can make something happen. The collectors complained that Wizards doesn’t care about the secondary market (For those who don’t know, the Secondary market is what you use to value cards with after you open them out of a pack. If you wanted to trade that rare for your friend’s rare, most people use the secondary market to estimate the value of the cards to see if it’s a fair trade). By reprinting the cards, the Collectors said that Wizards just want to grab the quick buck (a complaint that has never changed) and not believe in the value of the product they print. The people who wanted the cards to play with were happy to have $5 cards instead of having to shell out $30 for the same thing, only in black boarders. Collectors, who had the stranglehold on the inventory, found that demand dropped for their once valuable cards. It should be pointed out here that people buy Magic for different reasons. Some buy to play the game (the largest group), some buy to collect the cards. Yes, people who collect also play and visa versa, but you could separate yourself into one of those two groups (It doesn’t matter what format you play or what you collect, you’re still part of those groups. If you can’t, pick a side, we’re at war /Colbert). Collectors collect because it’s fun and possibly profitable (see: Comic books before 1980 and lunchboxes), and players wanted the cards to play. By reprinting the cards, Collectors were complaining that their collections were more important than the game itself. And here, ladies and gentlemen, is where we have our roads diverged. The choice was simple: ignore this crowd of collectors that have been with them from the beginning and continue to reprint cards, or stop reprinting possibly fun and powerful cards to make the collectors happy and alienate the players much further down the road. Wizards, wanting to make this a collectible game, went ahead and apologized for their mistake. With this apology, they set up the Restricted List, a list of cards they promised the would never print again. Wizards made a list of cards it promised never to reprint. The list included all the cards from Alpha that had rotated out of print before Fourth Edition along with all the uncommons and rares from Antiquities, Arabian Nights, and Legends. In addition, from Ice Age through Urza’s Destiny, all the rares had only one opportunity to get reprinted in a base set and after that they were added to the reserved list, never to be printed again. By “one opportunity to get reprinted in a base set”, Wizards used to have a schedule to print cards that were to be in the Core Set (or base set). It was a few years after they first were printed that cards could qualify for a Core Set. If they weren’t reprinted then, they were going to be added on the Reserved list. Such examples were Necropotence/Pain Lands in 5th edition (Pre-Mirage block), Vampire Tutor in 6th (Mirage block), and Ensnaring Bridge/Worship in 7th (Rath/Urza’s Block). Yes, if the Ice Age pain lands weren’t reprinted in 5th Edition, we never would’ve saw them again (which is why we see the much less useful “depletion” lands on the Reserved List). The biggest change in philosophy has to do with how R&D looks at mechanics. For a long time, R&D thought about mechanics as a limited resource. To use a metaphor, design space was treated like a diamond mine. With each diamond (mechanic) we removed, we were a step closer to having an empty mine. As such, we had to be very careful about how fast we were extracting diamonds from the mine. Not all of the cards that could’ve been put on the Reserved List were put on the list. First group of cards that were left off were cards that they decided weren’t too powerful so that it left a little wiggle room in case they ever wanted to do something like what 8th Edition did (non-Reserved cards that haven’t been printed before). The second? Cards that had block mechanics. Check out the Reserved List. Very few of the cards after Mirage (and especially after Tempest) had block mechanics. Why? With Cycling and Shadow and Echo never scheduled to return, there was no reason to put them on the Reserved List so the decision was made to leave them out. With this “new” philosophy of mechanics, it might have made the decision to stop the Reserved List. But Core Sets weren’t the sets that saw reprints; Magic was still growing but up until this time the only reprints were common cards: Incinerate, Dark Ritual, Disenchant, Counterspell, Circles of Protection, you know, “non-harmful” cards. 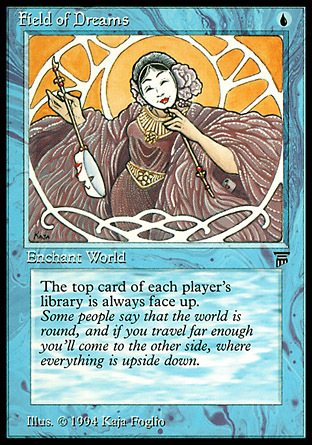 The Reserved List used to have un-reprinted commons and uncommons until it was put to a vote online and removed them from the Reserved List (Randy Buehler’s Latest Development). In fact, as of this printing (after Worldwake) very few rares outside of being printed in core sets have been rares: Reflecting Pool being the only one that was reprinted in a non-core set setting that saw significant play and rose in price dramatically. But this debate isn’t about reprinting cards in Core Sets or what rarity they were; it’s about reprinting them at all. This debate has blown up in the past couple of weeks. From GatheringMagic (which helped spawn this idea) to QuietSpeculation’s talk about Proxies, to the man some people blame/think is the savior in all of this, Ben Bleiweiss at StarCityGames. There was the announcement the Duel Decks: Phyrexian vs Collation will have a foil Phyrexian Negator, and the release the art of Masticore being in From the Vault: Relics. Both of these cards are on the Reserved List but, to skirt the whole “can’t print them issue”, they’re foil. Oh, didn’t you notice that earlier? All policies described in this document apply only to non-premium, tournament-legal Magic cards. Wizards of the Coast has and may continue to print special versions of cards not meant for regular game play, such as oversized cards. Yes, for years Magic has been printing Judge Foils that have been on the Restricted List. No one cared all that much since they were special versions of the card meant for Judges. If you don’t know: Magic judges don’t get paid money for doing their job, they get paid in product (Boxes and promo cards). The cards were more valuable because of the supply/demand issue. Collectors (as well as EDH/Cube/Vintage/Legacy players) want these cards since they’re are so few printed of them, keeping the price high. Judges, if they want to, obviously, can sell the cards to turn it into money and get “paid” for judging. Since these cards are never sold in packs, that keeps them valuable and sought after, artificially inflating their prices. But what makes this a different tiger than just reprinting them in sets are all the various products that Wizards are producing these days: From the Vault, Duel Decks, Premium Deck Series, Planechase, Archenemy. The real key about this is the fact that they can reprint the card without having it effect other formats such as Standard and Extended (much like the Timeshifted cards in Time Spiral did). This issue suddenly gets more relavent because at anytime, because there are foils, anything in the Reserved List can be printed. As this year continues on, we might get more and more instances of the “old” Reserved List becoming to cease in existence, or, like it did back in 2002 with the uncommons, change. There are some deciding factors in this and again, the two sides of Players versus Collectors have pulled out their pitchforks and are ready to do battle again. By your logic (price = supply + demand) the demand _or_ supply going up should increase price. What you are looking for is price = demand / supply I.e. as supply decreases or demand increases, price will increase. @Chris, he means the supply went up, not the demand. Read the section again, it’s just a mistake.